The time to book the dates for Club Ford Bulgaria Annual Meeting in your calendar has come - prepare and clean up your Ford car and share with your friends about our Ford event! 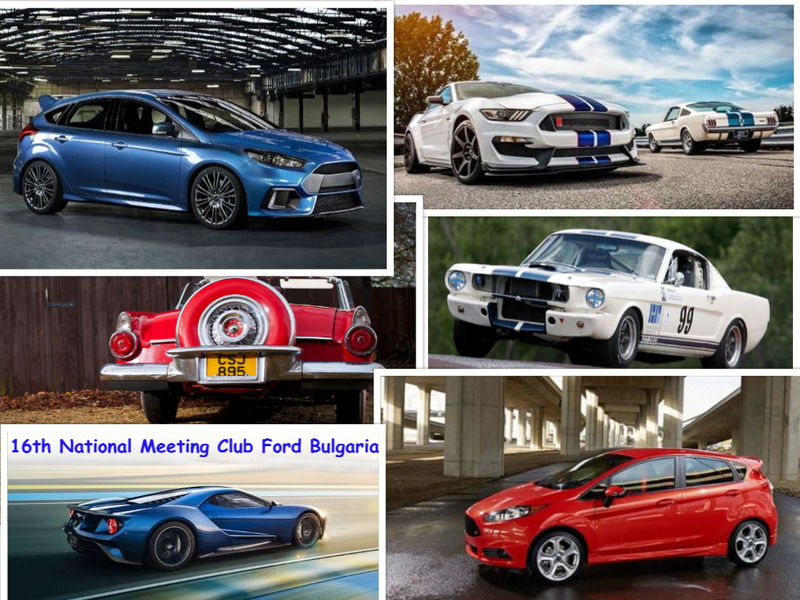 Yes, the time for the 16th National Meeting of Club Ford Bulgaria has come. Please be invited to join us. During this event there will be a show of standard and non-standard Ford cars. All Ford fans are more than welcome to join us to take a close look at a wide range of Ford models, not only from the present but also from the past. Entrance is free! Dates: 06.07.2018 and 07.07.2018, Ford Fair will be on 07.07.2018 Saturday. Prices for hotel accommodation 25 leva per person per night. Reservations are accepted from today until 31 May 2018 and must be paid by 2 June 2018.
please give more details about the payment . If you need further information or help, please drop me a message.